Beakerhead 2018 is just seven weeks out and already organizers are hard at work putting together exhibits that will amaze and delight. Beakerhead, for anyone unsure of why there are a bunch of random, colourful art installations around the city every September, is a celebration of what happens when art and science smash into one another. It has been called “Calgary’s Burning Man,” “an assault on the senses,” and “seriously fun” (though those last two may or may not have been coined by us here at Daily Hive), and will be taking place this year from September 19 to 23. Light up the Night: Two Tesla Coils will send gigantic bolts of electricity across the night sky. It will be — dare we say it — electrifying. Dinner with Drones: We’re going to assume that some sort of dinner will be involved, along with some sort of small helicopter thing. Lunch Without Light: It’s like a normal visit to Dark Table, except you’ll be joined by a famous broadcaster and an esteemed neuroscientist. MakeFashion Gala: Where fashion and tech collide. Beakerbites and Beakerbar: Canola will be the theme of this year’s food and booze creations. Four to Six on Fourth: You’ll be able to check out a human-sezed hamster wheel, walk on liquid, and enjoy multiple performers. Beacons: These things will be all over the city, lighting your way through a wild few nights of Beakerhead fun. Workshops: Take hands-on learning to the next level with a serious array of different classes to attend. Zorbathon: Bounce around in your very own zorb. Who would want to miss out on that? 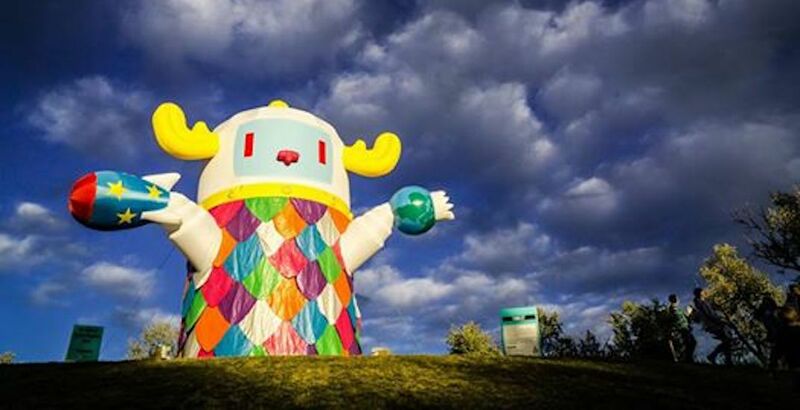 Many of the events during Beakerhead are free to attend — though a few require registration beforehand — and some, such as specialized workshops and Beakernight, are ticketed. Tickets are now available at the Beakerhead website.